It is said that good design is in the details, and I could not agree more. Often times I find myself hating things about a room in my house and its usually something large: the TV stand, the couch, the curtains, the rug, etc. To be honest I don't have unlimited funds to go out and change those, but what I can change is the smaller details. Recently I have been trying to appreciate what I can not change (totally easier said than done when you are a design freak, as I could literally rip out my hair sometimes most times) and turn my focus to the smaller details. I LOVE how the desk is made to look like a piece of furniture- the bottom of the file drawer is perfection. 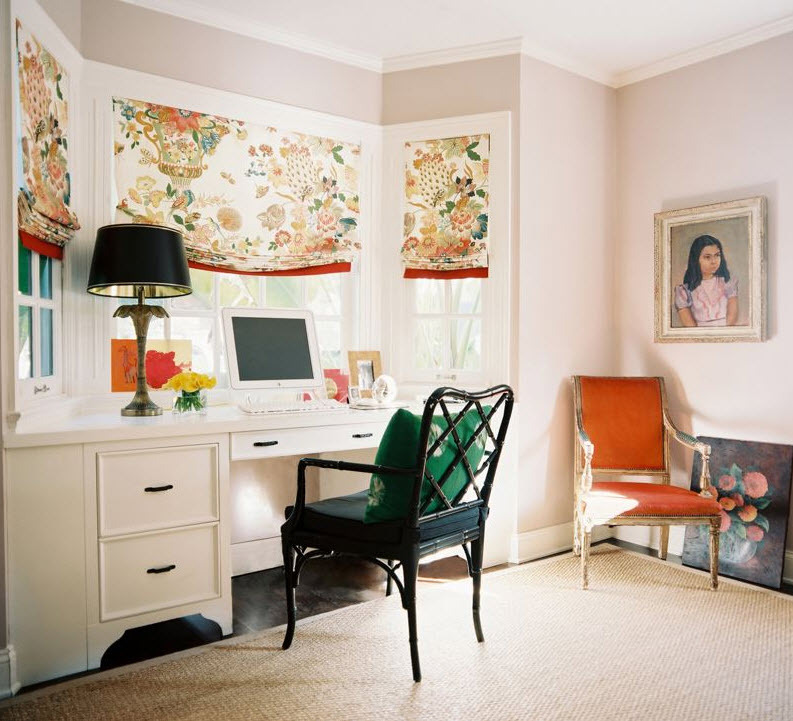 I also love the trim on the shades, and the gold on the inside of the lamp shade. This is the perfect little space. Things I am noticing are: the sideways chevron chest- LOVE, the ruffles on the drapes (which are on the bottoms as well) and the little chevron pencil cup- so cute! Tobi Fairley, the queen of color and details does it again! Just about everything in this room is amazing but my most favorite things in this room are those yellow stools at the end of the bed. They aren't your typical circle or square shape- its like a really fat quatrefoil shape. So tell me my lovely readers, what details are you loving lately? I need to start paying more attention! 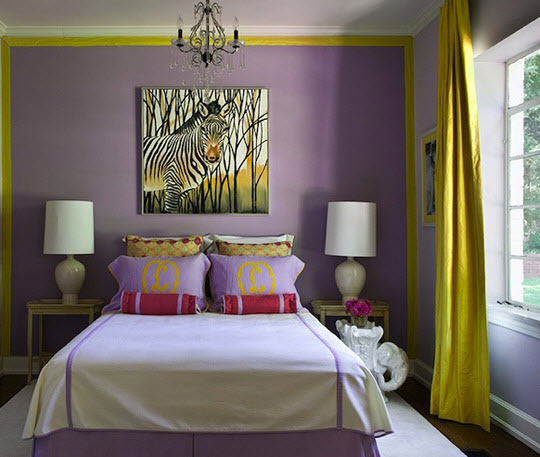 Loving that last room by Tobi Fairley. 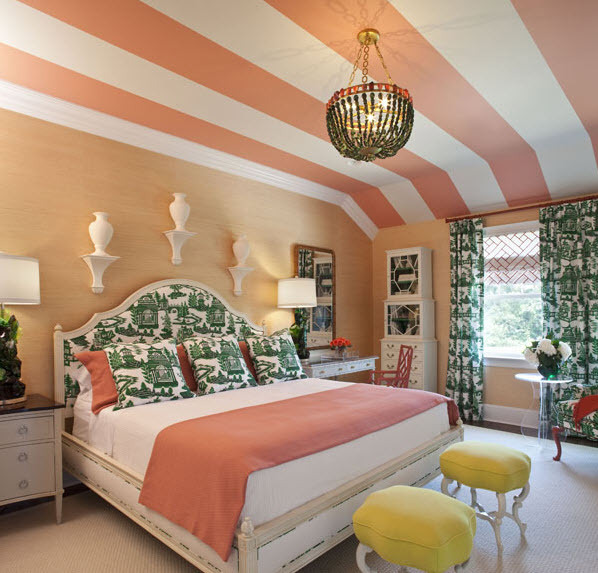 Especially the ceiling and the pop of yellow. love this post! i often forget that the small things can have just as much impact as the big stuff in my home. it is great to be reminded of this, esp. when you are on a budget! great ideas in each pic. thanks! Very fun! 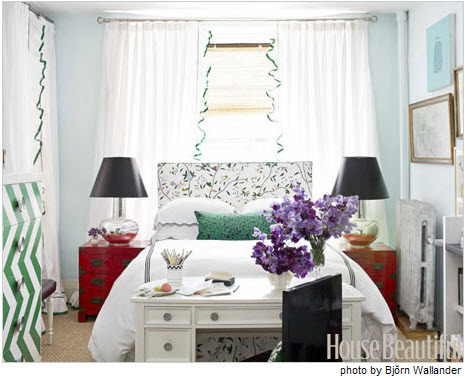 I had never thought about putting a desk at the foot of a bed like that - great use of space! 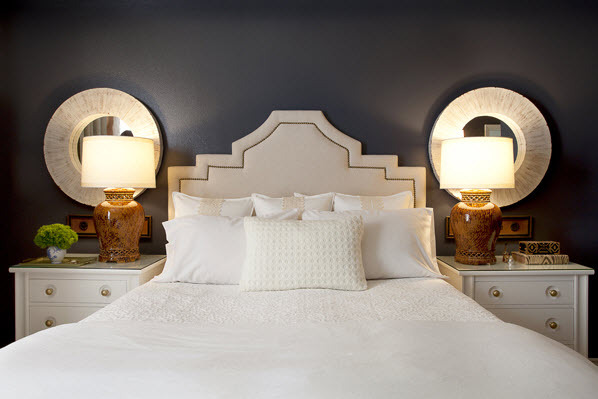 Loving the oversized monograms in the first photo and the headboard in the fourth photo is just so chic!